Bangladesh Prime Minister Office published a job circular. A attractive job circular published the Bangladesh Prime Minister Office. Joining the smart and big Govt. service team of Bangladesh Prime Minister Office. 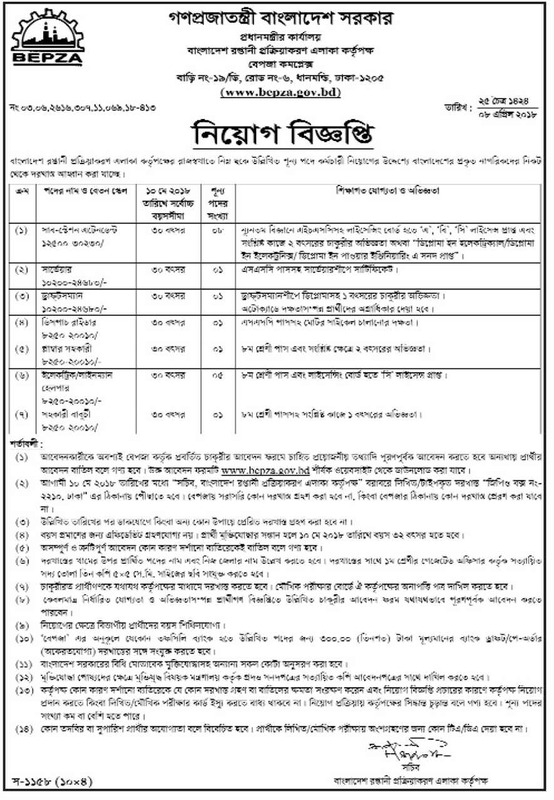 Bangladesh Prime Minister Office Published a New Job Vacancy Notice at Daily Newspaper. Dated: . Bangladesh Investment Development Authority (BIDA), An organization Under Prime Minister’s Office is an Investment Promotion and Facilitation agency of Bangladesh. BIDA is Providing Diversified Promotional Facilities Service With a View To accelerating Development Of the Country. We Invite Applicant from Suitably Qualified individuals for the Post of Master Trainer from Entrepreneurship Development Programme.